This book is part of my series of books I remember reading as a kid, and now am rereading to view them from a different perspective. I find facinating that while the story I loved as a kid, the story that captures the essence of childhood play and wonder, is as I remembered it, as an adult I can still enjoy it, while also taking intellectual interest in how life was different back at the turn of the (last) century. We take so many things (like toilets) for granted that it gives us a new perspective to see life without them, or see them as new and marvelous. I find the change in perspective helps me find the magic in that which is around me. Waiting for the rest of the series. 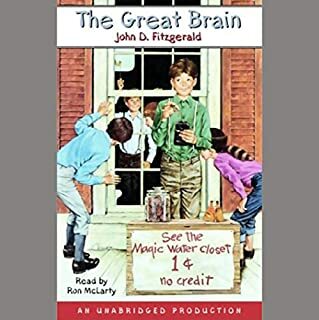 I added this book to my cart as part of a series of books I remember reading in gradeschool, and which I remembered more about the emotional reaction I had to the book then the content. 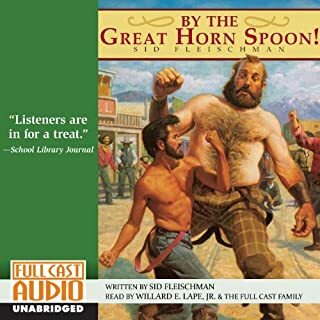 I am pleased to report that at 45 years old, the story was delightful as I remember, and the cast was marvelous, enlivening the book with colorful characters whose apparent age and gender matched the protagonists and made the story much easier to follow and more enjoyable to listen to. I look forward to sharing it with my nephew in a few years.